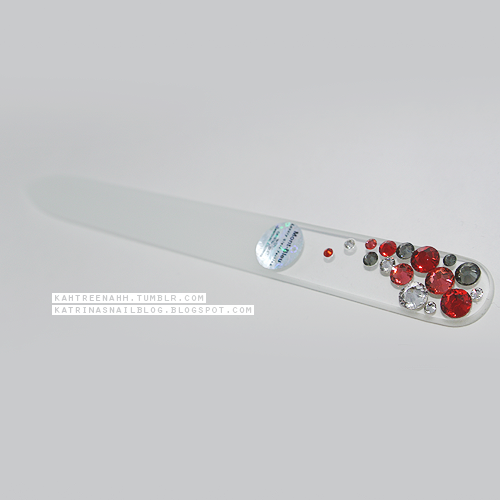 This is the 135mm/5.32in crystal nail file B-M1. It is beautiful!!! I specifically picked this one out because I looove the color of the crystals. 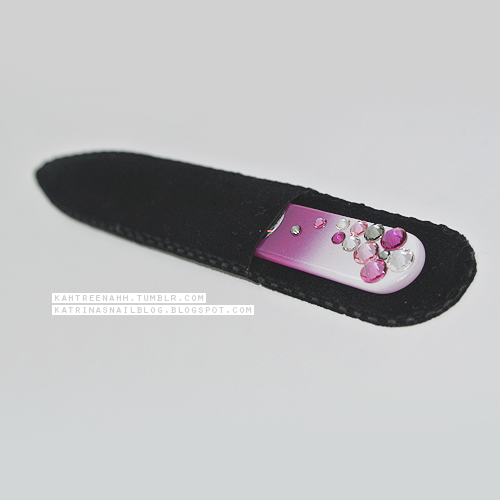 The nail file came in a cozy velvet pouch. 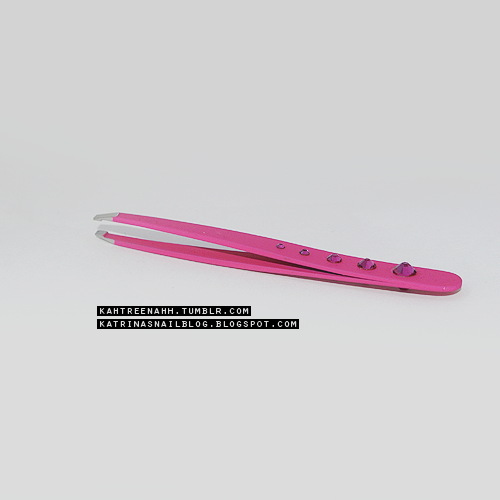 This one is the mini nail file BC-S1 in bubbles color - pink. I am not too sure on the size/length of the mini file, but it's a very convenient size. It also came in a velvet pouch. Here is a comparison of the regular size file and the mini file. A close up of the crystals. I can't get over how beautiful they are! The files are also very comfortable to use. 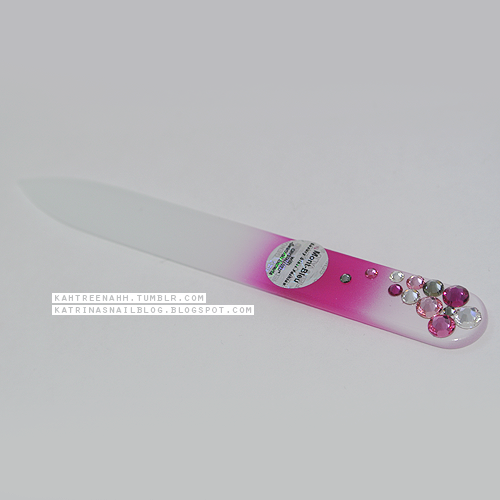 I've always preferred glass files over regular nail files and these are just perfect! 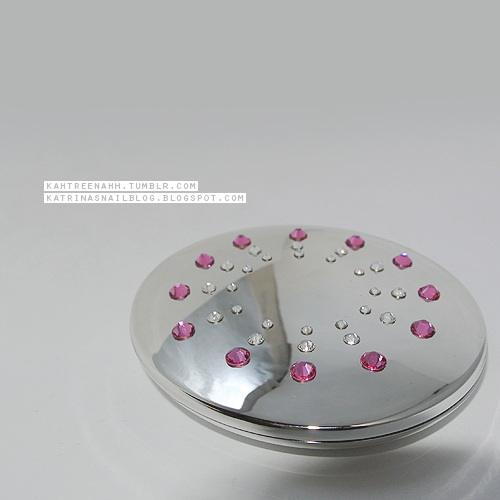 I also received a plastic pocket mirror ACSP-01.1. Mont Bleu does sell metal mirrors as well. 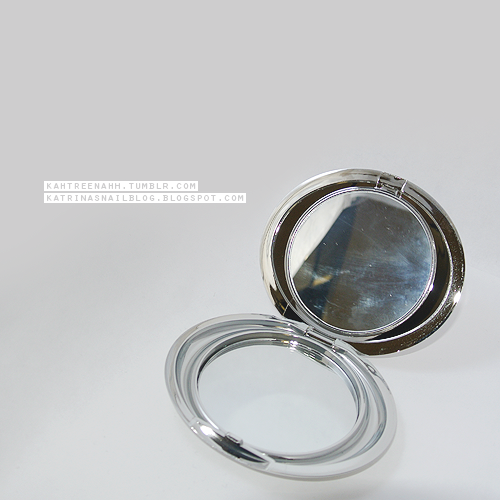 This one in particular came in a beautiful case, it's light, and one of the mirror is standard while the other one is magnifying. The case of the mirror itself is also reflective, that's why you can see the top of the case on the top of the mirror. 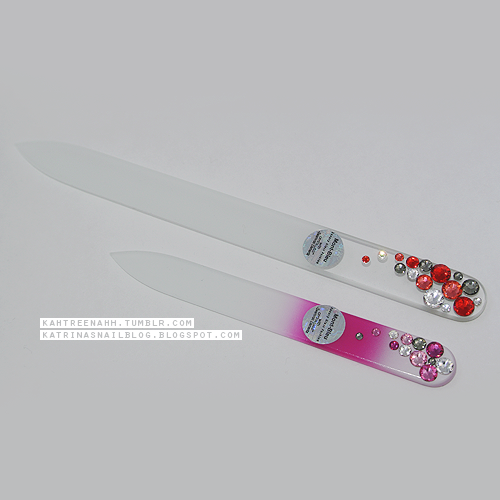 Lastly, I received a pair of tweezers CT-1.3 pink. 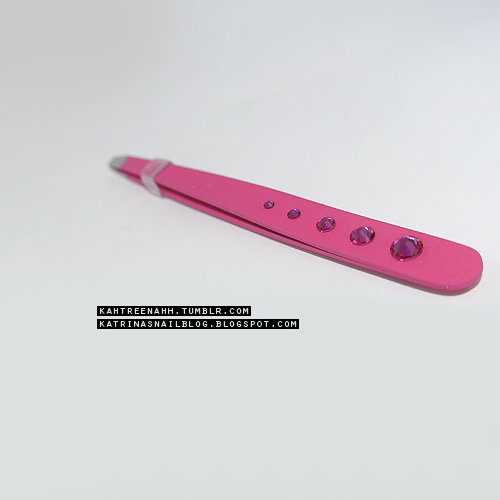 The ends are slanted so they work well, the tweezers are very comfortable to use, and there are crystals on one side of it. I love all the items that I received; they're all easy to use and the crystals are just beautiful! Be sure to check out Mont Bleu, they have many other beautiful items and they ship worldwide. A big thanks to Mont Bleu for the beautiful items. Ooh! 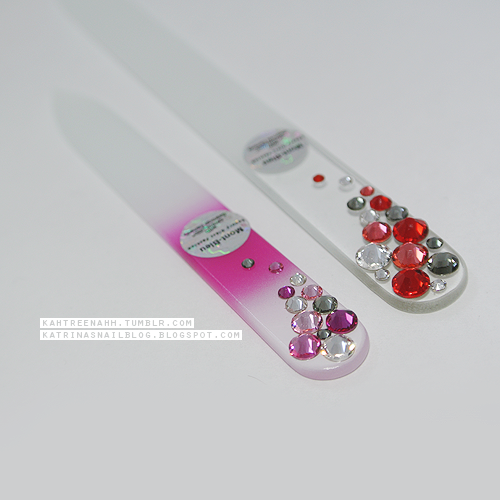 I've never tried a glass file before but those are super pretty! 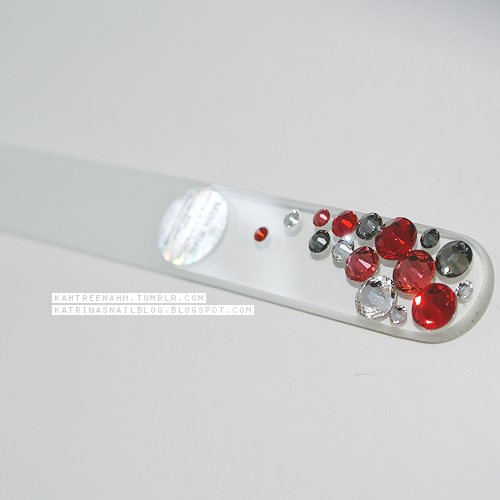 I especially love the red, gray, and white crystallized one!